Keeping notes on how your training is going is an important part of being an athlete and also a coach. These notes will give you a picture in the future of your past thoughts and help you progress. We have made it easy to find all the notes that you have written. They are are all displayed on your profile in a specific tab called Notes. 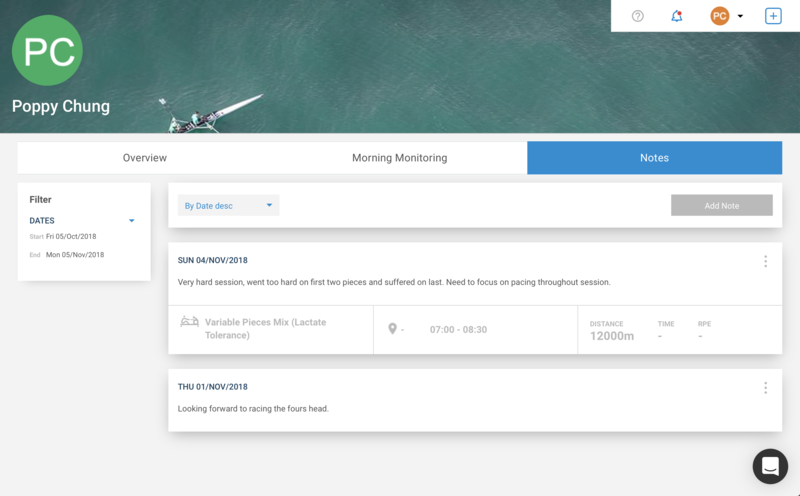 Your notes from each day and each session are displayed in a continuous list. If you are looking for a specific note we have a basic filter to filter by the date of the note.